Our work reviewing neuroleadership, theories, concepts, the brain and matching emotional needs to performance in the workplace. Paper in German reviewing data on emotional needs in the workplace and mental wellbeing. We report a high correlation to disruption in emotional needs and decrease in mental wellbeing. The basic theory of using the SCOAP emotional needs model as a framework for coaching. Book to be published in 2019 by Springer. 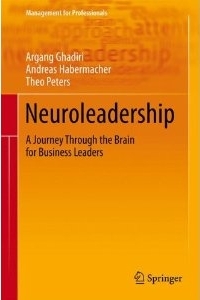 A fully updated and greatly expanded version of Neuroleadership is due in early 2019. 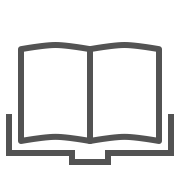 The SCOAP theory is built on multidisciplinary behavioural science with its roots in neuropsychotherapy. 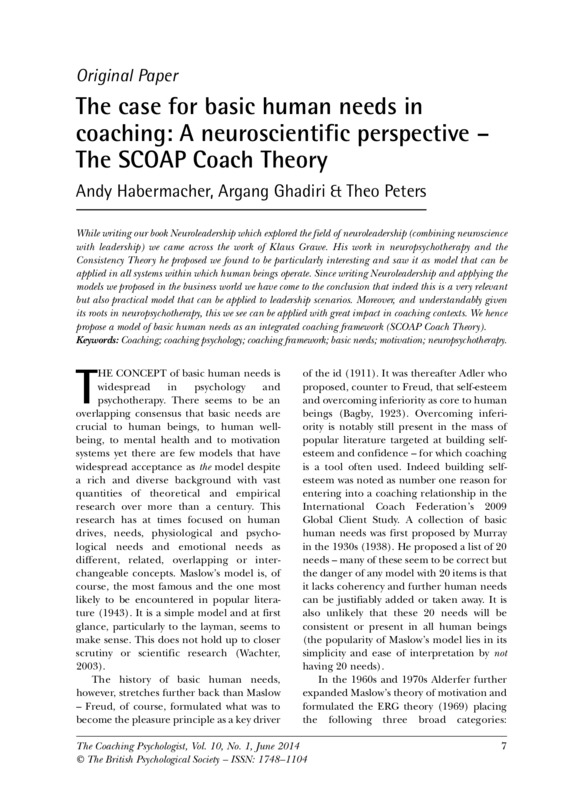 In our work and research we have consolidated and matched this to (amongst others) cognitive neuroscience, evolutionary neuroscience, neuropsychology, evolutionary psychology, and organisational psychology. We have drawn on multiple theories of neuroscience. The major influences are Klaus Grawe’s work in Neuropsychotherapy and Aunger and Curtis’ work on evolutionary development of behaviour. 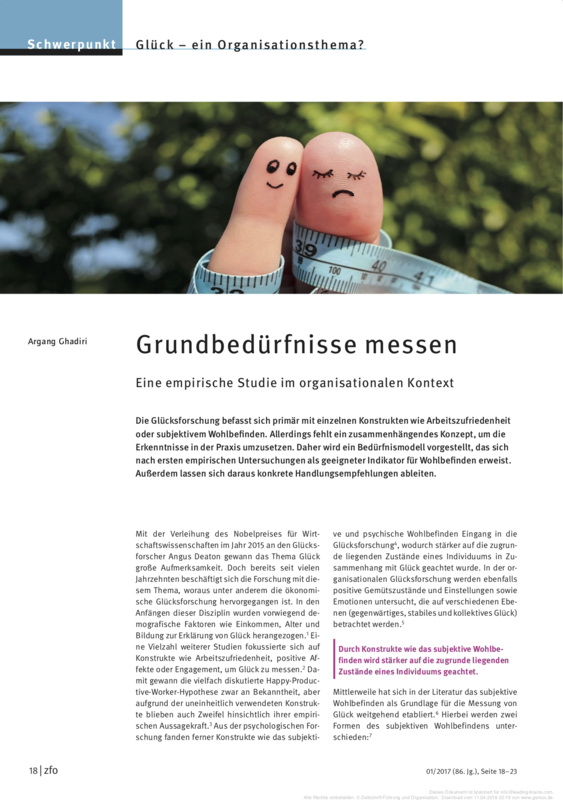 Klaus Grawe posited that emotional needs are at the core of wellbeing – his research and our research show that there are strong correlations to this and that violation minimises welling and satisfaction increases wellbeing. Managing emotional needs seems to be a very effective method to increase wellbeing and recovery from multiple conditions and disorders. Multiple pieces of research in the workplace point to emotional needs as being critical in the workplace for engagement and satisfaction – we have reviewed 12 models and these match perfectly to our SCOAP model. Our research has shown increased workplace effectiveness with increased needs satisfaction. Leadership models sometimes contradict each other. Our model matches the individual to the model and hence explains under which conditions a leadership theory will work or not. SCOAP is ever present in all model but individuals representation of this changes and so needs and engagement will also change. You can become a certified SCOAP trainer by taking an online trainman session combined with a minimum two-day in-person workshop in various locations globally. Once you have the first level you can take further deep dives to become an advanced trainer or master trainer.